Why do I have a feeling that these remaining 189 days are going to be invaded and duly taken over by Selca Magic moments here on the Countdown? Could it be because that at ten days into the month of August, G.O has updated for the 7th time? I say let the invasion continue! 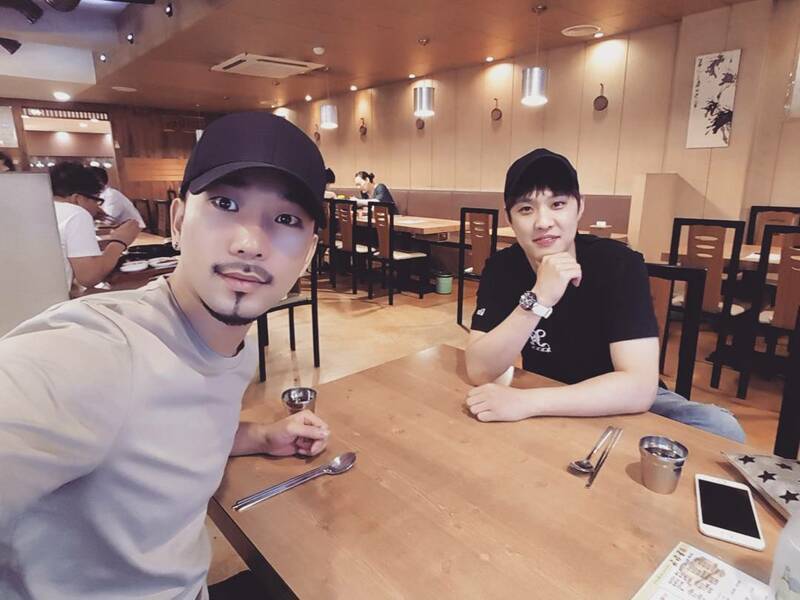 So yes, on the evening of 10 August, our beloved main vocal updated once again with a pic of himself with our beautiful leader, Yang Seungho. Kyaaa!! My friends, you must agree that mine is a most thoughtful and generous bias. While he is offering his legion of G.Oddesses steady updates of his own survival reports as he makes his way through his service, he is mindfully giving Seungholics and all MBLAQ fans love by capturing and sharing his time spent with his MBLAQ brothers and friends, inviting us to take part in these precious moments. Really, G.O’s thoughtfulness towards the fans is truly exemplary and indeed stretches past the boundaries of ordinary fan service. Categories: G.O Military Discharge, MBLAQ Musings, The G.O Files | Tags: G.O Selca, G.O Survival Report, G.O's Selca Magic, 정병희, 지오, Jung Byung Hee, Jung Byung Hee images, Korean entertainment, MBLAQ 87-Line, MBLAQ G.O, MBLAQ G.O images, MBLAQ G.O selca, MBLAQ G.O Survival Report, MBLAQ G.O's Selca Magic, MBLAQ Seung Ho, MBLAQ Seung Ho images, Seung Ho Images, The 87-Line, Yang Seung Ho, Yang Seung Ho images | Permalink.